Mark T. Engelhardt presently serves as Associate for Administration, Liturgy, and Music at St. Peter’s by-the-Sea Episcopal Church in Bay Shore, NY and is founder and administrator of the Center for the Arts at St. Peter’s. A prizewinner in numerous organ playing competitions, he has been heard in concert throughout the United States and in England; and in master classes with Arthur Poister, Marie-Claire Alain, Joan Lippincott, and Gillian Weir. From 1989 through 2005, he served as Organist and Director of Music at the Cathedral Church of St. Paul in Boston and was Music Consultant for the Episcopal Diocese of Massachusetts. From 2005 through 2012, he was Director of Music and Lay Associate to the Rector at Grace Episcopal Church in Salem, Massachusetts. During his time at Grace Church, he founded the Choir School at Grace Church, a Royal School of Church Music oriented program for boys and girls. Prior to his appointment to St. Paul’s Cathedral, he served churches in Louisiana, Mississippi, Kansas, and Long Island. He has served as a leader for church music conferences, clergy conferences and retreats, and youth and collegiate gatherings at the local, provincial, and national levels. A native of New Orleans, Mr. Engelhardt received early music training in piano and as a chorister in his parish church, forming his first boychoir at the age of 16. He earned Bachelor and Master of Music degrees in Organ Performance at Louisiana State University in Baton Rouge, studying with Richard Heschke. Further organ study has been with James Higdon and Peter Sykes. From 1986 through 1989, he served as organist and assistant conductor for the Long Island Philharmonic Chorus conducted by Gregg Smith. He was a student at the intensive Overseas Course of the Royal School of Church Music in England and has maintained an active career, conducting volunteer and professional choirs including Choirs of Men and Boys, Junior and Senior High School Choirs, Girls Choirs, Women's Choirs, Mixed Adult Choirs, Popular Ensembles, and a Gospel Choir. Upon leaving St. Paul’s Cathedral, Mr. Engelhardt formed “MagnificatBoston”, a choir of 25 singers drawn from parishes throughout the Diocese and beyond with the sole purpose of singing choral Evensong once per month in a church or chapel of the Diocese. He has been heard on the American Guild of Organists Sunday morning radio broadcast, and was heard regularly on the “Sunday at St. Paul’s” broadcast every Sunday on Boston’s Classical station WCRB. He appears as solo organist and choral director on the recording "Author of Light" of the professional choir and unique double organ of the Cathedral Church of St. Paul, and is the organist on two recordings of music for organ and trumpet, performing with internationally-known trumpet player, Chris O’Hara; and with "Illumine", a trio of soprano (Sarah Moyer), trumpet (Chris O'Hara) and organ and harpsichord. 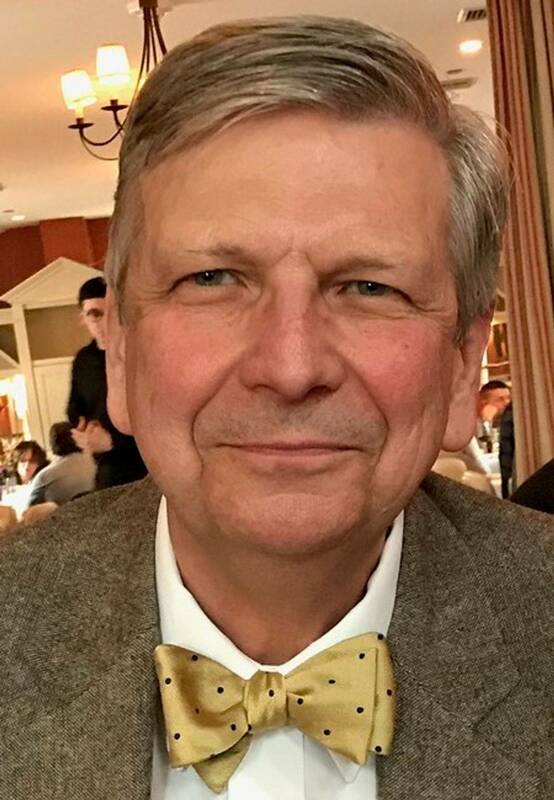 Mr. Engelhardt has served as Long Island Representative of the Royal School of Church Music, and Subdean of the Greater Kansas City Chapter, Dean of the Suffolk (NY) chapter and Subdean and Dean of the Boston Chapter of the American Guild of Organists. He frequently appears as a leader or presenter for conferences on church music, and as a composer, Mr. Engelhardt has been commissioned to write several works for liturgical performance. A setting of the hymn "The Church's One Foundation" was composed for the installation of the present Bishop of the Diocese of Mississippi, and subsequently sung at the consecration of the Right Reverend Shannon Johnston as Bishop Coadjutor of the Diocese of Virginia.